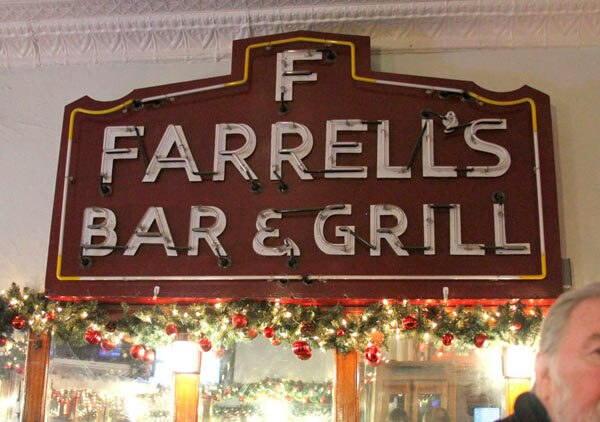 But then there’s Farrell’s Bar & Grill. The legendary bar has been feeding Windsor Terrace locals drinks since 1933, and has become a celebrity magnet for sometime. Now it’s become the center of the creative world. 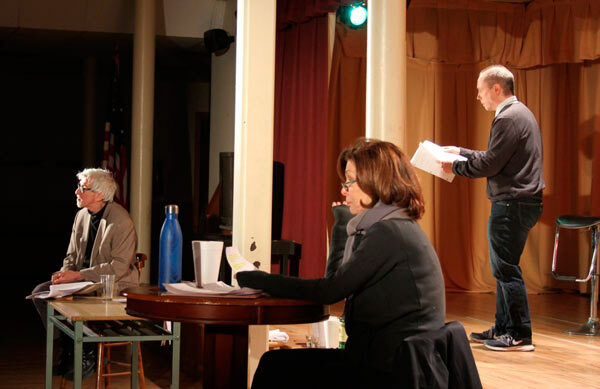 First off, Patrick Fenton, a local playwright, produced a highly-successful play in 2015 that was set in Farrell’s Bar and Grill called “Stoopdreamer”. Secondly, after a run in the Cell Theatre in Manhattan, the play has recently been revitalized for a pair of readings at Shepherd’s Hall, Holy Name Church, to help raise awareness for another piece of artistic patronage to Farrell’s: a documentary. Fenton, a Windsor Terrace native, focused his play on gentrification and the effects of the Prospect Parkway after it tore the neighborhood apart in the 1940s. “Stoopdreamer” centered on a major construction by Robert Moses in 1945. According to the Brooklyn Eagle, the Prospect Parkway construction essentially displaced 1,252 families. 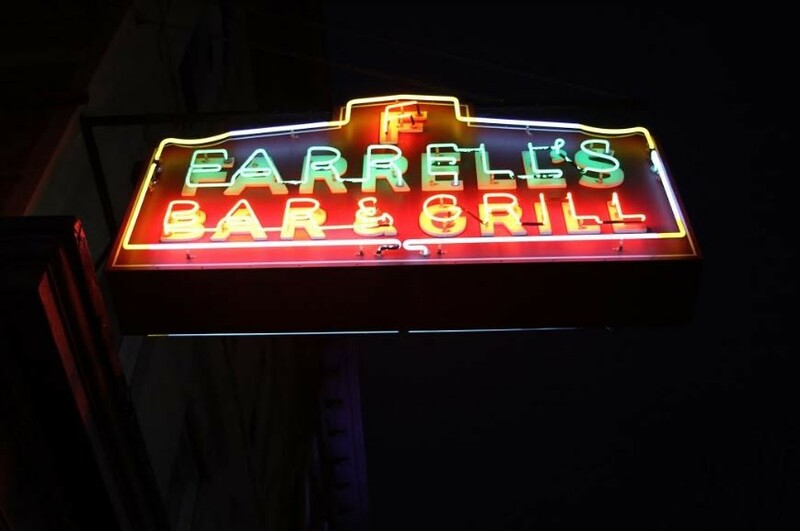 The play is set 70 years later at Farrell’s as three families gather to discuss the effects of the construction. It was around the same time that Cusato began preproduction of his documentary on Farrell’s. He and Fenton then started a relationship. Fenton help Cusato research and get in touch with locals in creating this story about a legendary bar. 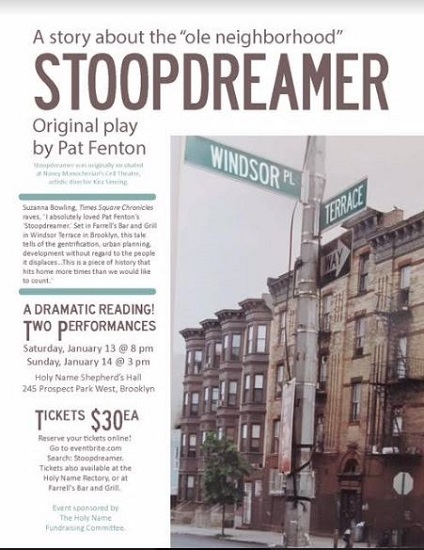 The recent reading of “Stoopdreamer” is a way to raise awareness for the documentary, according to the Brooklyn Eagle. “Pat and I thought if we put the play on in Windsor Terrace,” Cusato told Brooklyn Eagle, "a lot of people who know about Farrell’s, the owner Eddie Farrell and the history of the neighborhood would come out to see 'Stoopdreamer’”. “We also thought that if we made it part of a fundraiser for the Holy Name Church it would be an added bonus to the neighborhood,” Cusato said to the Brooklyn Eagle. Cusato, a Brooklyn native, has been a successful filmmaker for years and created the production company called Park Slope Films. He has 60 film projects under his belt from short films to live shows. The heralded filmmaker employed Aimee Todoroff to develop the live stage readings of “Stoopdreamer”. But at the end of the day Cusato is trying answer once simple question.